Mission: Our mission is to create a cutting-edge hiking trail in Iceland’s Westfjords region that brings benefit to local community, ecology and our guests. Through offering unique adventures in wild places, we equip guests with new environmental skills and perspectives and which allow a deepening of one’s personal relationship to nature. This increased awareness and enjoyment of nature can become a great source of personal inspiration and creativity, and which often results in feelings of empathy and responsibility for our wider, shared ecology. The trail is located in a region of Iceland that has been in slow but steady economic decline for the past 30 years. Many farmers and fisherman have abandoned their farms and centralized their boats. This has left a few isolated individuals and communities and a lot of wild space! Our trails are carefully designed to integrate these remaining stalwarts through employing them to provide campsites, food, services and local products. Logistically, in 2014, we made use of 25 different local service providers to complete our trails. Our project is financially backed by the region’s development agency and a national innovation centre of excellence. Wildfjords also has a charitable arm, called Wildfjords Restoration, which is supported with grants applied for by the Wildfjords team. Our trail adventures are designed to deepen a person’s relationship with nature, with the understanding that an emotional an emotional connection with nature gives rise to feelings of personal responsibility for our shared ecology. We achieve this by teaching foraging skills and conducting storytelling and creative activities. We practice a complete no-trace policy on all our trips, taking all rubbish and toilet paper away with us, and recycling all plastics, metals and glass. We are careful to instruct people not to foul water courses with soaps and solids and use biodegradable soap at all times. Our walking routes are carefully selected to minimise impact on often fragile flora and we only make fires where it is permitted. All food is locally sourced where possible, and reflects Iceland’s rich maritime and farming heritage. Our service providers are also chosen based on their approach to sustainability e.g. our Accommodated Adventure package is based at a property that is run on renewable hydroelectricity. We are passionate about nature and aim to share that passion with our guests. Wildfjords aims to bring travelers to the region through creation of a long-distance hiking trail. This is an initiative that is supported by the region’s University Centre and by the aforementioned financial grants. We are working with local partners to create a trail that reflects the region’s unique character and values and supports the development of genuine eco-tourism products. Within this approach is recognition that the visitor has an equal impact on local people as do local people on the visitor. By carefully selecting who and how we work with people, we ensure that the soul of the interaction is preserved, and an authenticity is offered to both visitor and local. As an example, Wildfjords runs an Artist Residency, which offers an opportunity for artists to walk and make work in response to their experiences. In this process, locals gain new perspectives of their environment through viewing and being collaborative participants in the artists’ work. We’re also careful to support local people for whom the extra income is particularly needed e.g. remote farmers. It is also an excellent opportunity to experience rural Icelandic life for our guests. 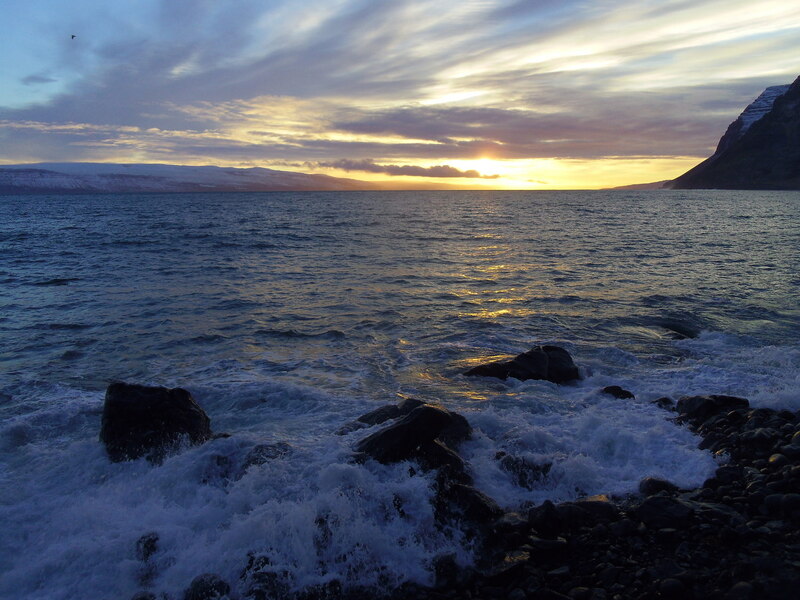 Wildfjords was dreamed by Henry Fletcher, Tanja Geis and the wider Westfjords’ community. Henry is an international wilderness guide for whom nature is a constant source of inspiration, creativity, challenge, sensory richness and spirituality. Through the trail, Wildfjords aims to facilitate an ecological awareness in guests which can inform their creative projects and supports the development of traditional holistic skills such as foraging, storytelling and walking. Through generous funding from UCIRA we are able to offer WFAR at a much reduced cost. We hope that this will make the residency trail as accessible as possible. A reduced fee may be available to some selected artists based on need and merit. If you feel you cannot afford the full fee, please include in your application a Statement of Financial Need and documents supporting your request for a reduced fee. Some camping equipment (tents, cooking equipment etc). We suggest you bring your own sleeping bags and mats. If you have your own equipment and would like to use it, please feel free. Application Fee: €15, to apply, please follow this link to Submittable. Accommodations: Camping and backpacking along a specially selected section of the 200km Wildfjords Trail. Any practicing artist of any genre at any stage of their career. No previous outdoor and/or camping experience is required, however a good level of fitness and health is advisable. In places, the trail has steep ascents and descents, and will often require careful foot placement on loose terrain. Certain short stretches will require scrambling over large unstable boulders. Please do hesitate to contact us if you would like more details. Ability to commit to the entire duration of the residency. Posted in Iceland, Wildfjords Artist ResidencyTagged Adventure, art residency, artist in residence, Artist Residency, Ísafjörður, backpacking, Camping, campsites, creative activities, creativity, Ecology, empathy, environmental, environmental skills, food, foraging, foraging skills, hiking, iceland, inspiration, local community, local products, Nature, no-trace policy, shared ecology, storytelling, trails, WFAR, wild places, Wildfjords, Wildfjords Artist ResidencyBookmark the permalink.